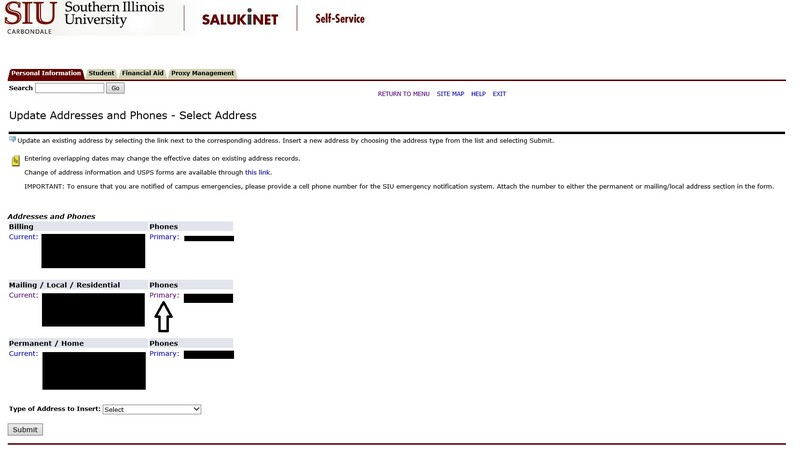 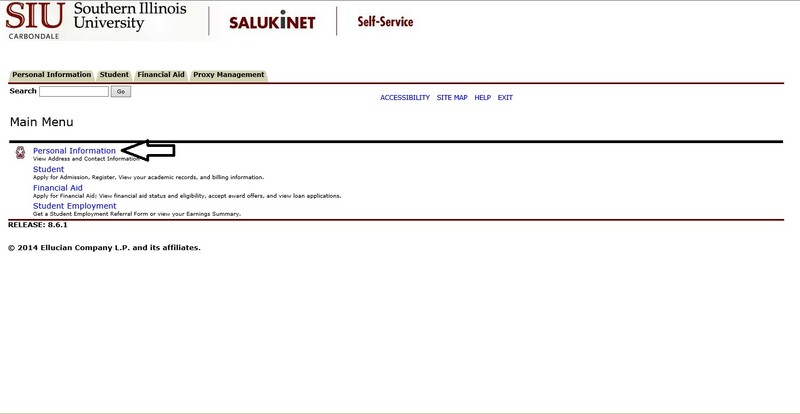 Students needing to add or change a mobile phone number for the SIU Emergency Alerts will need to login to SalukiNet and follow the steps below. 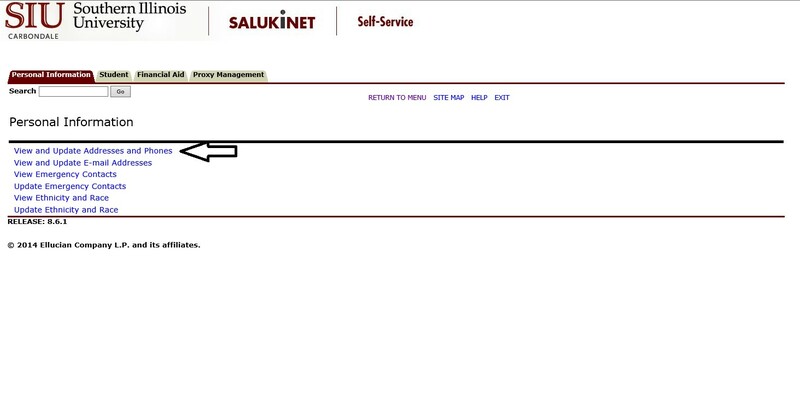 For instructions on how to add a parent's number, please view the Parent - Rave Security Alert page. 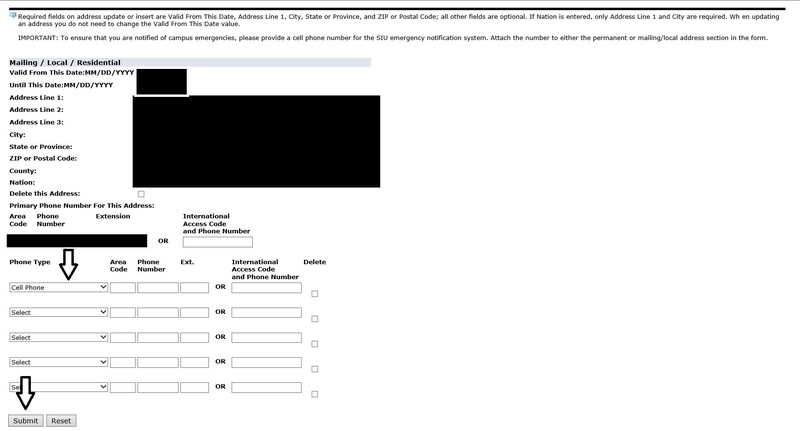 For Phone Type, select 'Cell Phone' and enter your cell phone number, then click Submit.